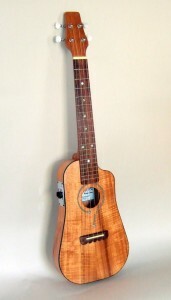 I am currently making Tenor Ukuleles and you can see a selection of instruments below. The body of this Uke is in Koa giving good crisp sound. It is fitted with a Artec ME2 active EQ. 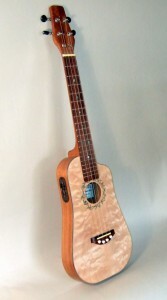 Standard Tenor scale length 434mm. This Uke is a Tenor style with Maple top and Mahogany back and sides. It is fitted with a Artec AB2 active EQ. 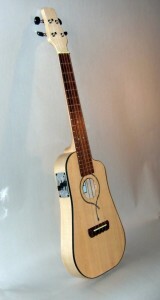 This is the standard FS model. The body is in Sapele laminate. This Uke has a Spruce top and Maple back and sides. Very crisp sound, and fitted with Artec ME2 active EQ.